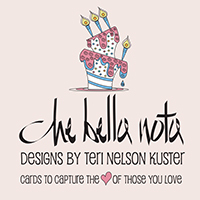 About Me: My love of art and my background in calligraphy and graphic design helps me create greeting cards with simple from-the-heart, hand-lettered messages enhanced by joyful and colorful illustrations. My whimsical cards are my way of giving joy and sharing a delight for the fun-side of life that celebrate its special, enjoyable moments. I hope my cards bring joy to you and all those who are special to you. My Interests: I love artwork of all types and read all types of books for both enjoyment and knowledge. I find inspiration in my deep love of nature and all that is naturally beautiful in our world. Welcome to my store full of fun and joyful cards designed for you and yours to celebrate life's special moments. I also offer a unique line of business cards to help you grow your business. Come back often to see my new cards. Thanks for visiting. Enjoy! Thank you Teri for your kind words. Congratulations on your New Year Chinese dog of the year card. It's totally too cute. Your designs and cards are so full of life. Wishing you a successful year. Teri! Thank you so much for the beautiful design you made for the invitation for our son who will be heading off to dental school! We were so pleased! It was exactly what I was looking for but couldn't find anywhere! You are the best! Looking forward to more of your designs! Thanks again! Karen "Z"
Love your cards, Teri! I wish you much success and many sales. Teri, your designs are so cool. Clean lines, great composition and I love the hand lettering. Hi Teri! I ordered one of your cards this week for a daughter-in-law and wanted you to know, the card is great and the colors are fabulous!!! Keep up the good work! Just want to say a belated congrats on your design of the day last month ... I've only just seen it now. I love the warm colours. I also want to mention your halloween card - cutest punkin in the patch. Its one of my favourite cards, and I noticed it popping up over and over in (recently sold), so a lot of customers thought so too!! :) Your cards are so happy and fresh. Congratulations Terri on your Design of the Day! It's a delightful card ... I like the colors you used! And as usual, I love your fresh designs! You're really great with your images and font style.. love your WORK. Hi Teri! Popped by to say "hi" and to let you know how adorable I think your new Easter cards are! Your simple but rich designs are definitely heart catchers! Big thumbs up, Teri! I got such positive feedback from the first card I sent...and I am excited for the rest to be received. The designs are great, and so simple to do. For this person who admits to not sending cards because of the hassle factor in it, you have created a site that works for me. And you are stamping and sending the cards! You have managed to fix all my excuses! I also loved the ability to send a month's worth of birthday cards, all to be sent on the date I requested. For those people who hate going to a store and searching for cards, this is the site to simplify your life. Delightful card designs Teri! Looking forward to seeing more of your colorful, whimsical and so much fun designs! Teri, Congrats on your Design of the Day. I really like the start to your store. I look forward to seeing more of your fun designs. Welcome to GCU!